The magic of the Star Wars galaxy didn’t just come together haphazardly; all six films got their distinct and memorable looks thanks to the tireless work of a huge team of creative types. But have you ever really thought about how those movies came to life? 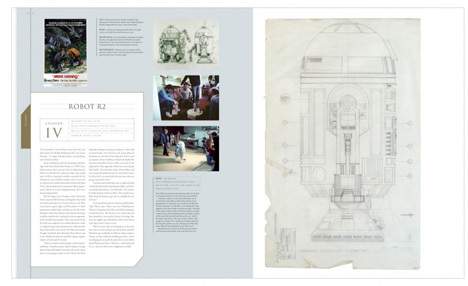 A new book called Star Wars: The Blueprints shows the technical drawings that made all of those detailed sets and amazing characters to life. Technical drawings lay out the details and specifications of movie components. 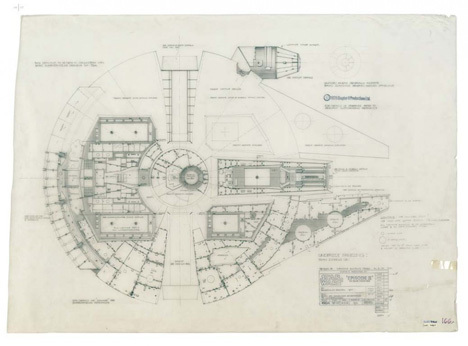 From the size and shape of a whole planet down to the smallest button inside a vehicle, these drawings are the blueprints of a galaxy far, far away. The technical drawings of this book are somewhat similar to concept art, but they are far closer to reality than those fantastical renderings. 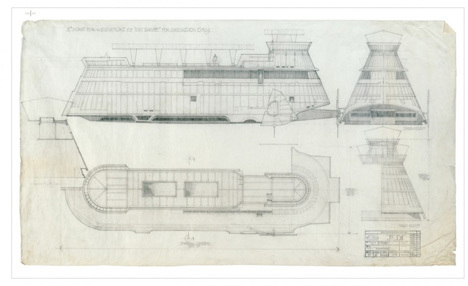 These are actual plans drawn up by draftsmen and used in the construction of sets, characters, vehicles and scenery. Inside the book are more than 200 drawings and over 500 photographs. Everything from X-Wing and Y-Wing fighters to the Ewok Forest to the Death Star and the Millennium Falcon is laid out in captivating detail – sort of like seeing everything with X-ray vision. 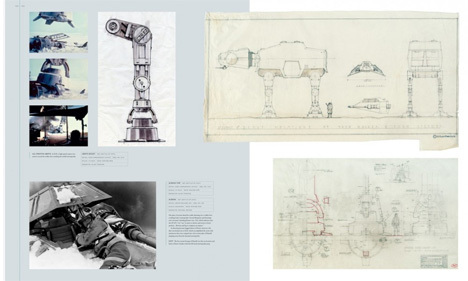 Star Wars: The Blueprints was released in the Fall of 2011. Only 5000 English language copies were printed, and each massive 35-pound book carries a staggering $500 price tag. Needless today, if you ever see this particular book on someone’s coffee table you can assume that person is a through-and-through Star Wars fan.